1500 euros for orphans in Haiti. 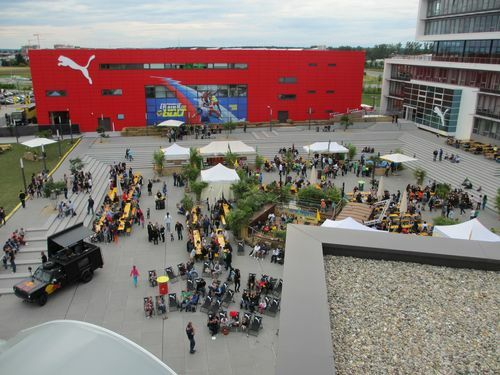 At this year’s employee summer party at PUMA, Charity Cat launched a big fundraiser for orphans in Haiti. 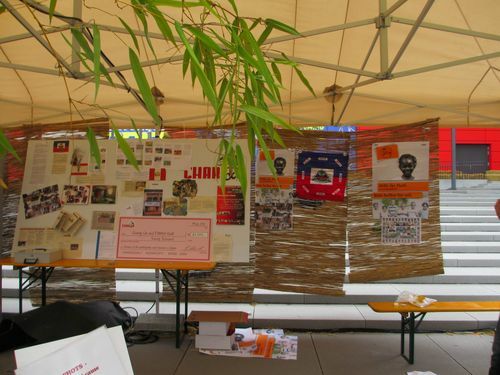 Our eight meter long booth that provided information about the aid organization FONMEH e.V. (formerly MAEH e.V.) 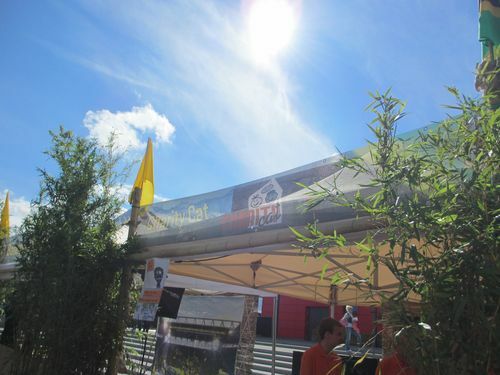 – one of our ongoing projects – and the sale of over 500 jelly-shots made it possible to hand over 1500 Euros to the project. Charity Cat has supported FONMEH e.V since 2011, which cares for children who have lost their parents during the bad earthquake in 2010. By selling the jelly-shots Charity Cat collected 750 Euros. The rest was donated by the 2000 guests at the event. Furthermore Charity Cat supports the organization with a donation of clothes for children.